"Great tool for tech businesses." Brandfolder has truly made it easy to share, and view all our brand assets. It's a truly remarkable platform, that is so user-friendly & overall provides a wonderful experience. It's nice to be able to see first hand the hard work our creative & marketing teams come to life. The ability to integrate Slack is life-changing, and has made sharing our assets that much quicker, and with so much ease it's unbelievable. Brandfolder is astronomically fundamental in the core of our Marketing/Design teams and for that, Brandfolder will forever be a favorite in the Duo family. In all honesty, there isn't much to not enjoy about Brandfolder. It's inclusive, user-friendly, and the UI is breathtaking. I love the notifications we receive once a new asset is available, I know our Sales team supremely appreciates it! One thing I will say, is that it would be really nice if we could have an actual profile. With the new feature of being able to network internally, an editable profile would be substantial. It's the easiest and most effective way to share your brand's assets with your wider organization. Their staff makes implementation super easy! Here at Duo security, our creative/marketing team relies heavily on Brandfolder to share their creations with the rest of the company. More specifically, the platform allows our team to share our brand assets with our wider sales organization, making it seamlessly easy to share our works with the world. Brandfolder truly has made getting Duo's message to the wider org a non-existent issue from the start. Thank you all at Brandfolder! My company uses this to share files with crew members system wide. Sharing pictures and videos are easy. They're easy to navigate and locate files and create folders. I am interested in what else brandfolder can do and will look into other aspects that can help my team out as well. Dashboards and data integration are high on my list. Not sure yet. I haven't used this product to it's full capacity. I only have experience using the file sharing aspect. Definitely the perfect platform for file sharing over other platforms such as dropbox or google drive. It is much easier to use. Storage is not an issue especially if broken out into various folders. I would highly recommend using barbdfolder. Users wold not be disappointed when using this platform. I will be looking at other aspects that can help my team in better producing data integration. Sharing files, videos and pictures with teams across my system is be super easy. I will look into what other capacities brabdfolder can help my team out. After experiencing the file sharing option, I am interested in what else brandfolder can do. "Easy to master, great work"
I like the way Brandfolder lets the admins control who sees and is allowed to do what and how visual the overview of assets is. The fact that people can turn files that usually can only be used by designers into PNGs and JPGs in the needed dimensions saves us a lot of time. We always receive prompt and friendly support when needed. But What I like the best is that it is not a complicated application even beginners can use the tools in this program which is the best part. I'm having a bit of a hard time getting our audience to understand how to navigate between collections and brandfolders.That aside, the previews load quite slowly from time to time. The admin interface for user administration could use a little more love but I'm told that's being worked on. I love the tools which is why I like to use it often but I dislike that this takes up a lot of time when using to be careful from other company stealing your data or something. Think about your setup in advance - adding Brandfolders, later on, can get a bit confusing for users. But overall I think it is a great softwear. We share our creative work to avoid that similar projects get kicked off, duplicating efforts. We also use it to supply our employees with brand resources. And later I realized the benefit is that I can easily use the tools on the program to create and develop something which is great and why I like it. "Best way for teams and brand to manage quality and standards for brand assets"
I like the flexibility in controlling which collections of assets I can share access to. The measuring of asset usage is also a very impressive feature. Sometimes the logic in the app can be a little tricky to remember if I haven't done it in a while. The intuitiveness of creating new collections is sometimes not obvious. Don't start out trying to replace your production file storage - let it become that. Start out with assets focused on marketing and external teams to solve those problems then scale your usage of Brandfolder along the way. One thing I've seen is just how accommodating and supportive Brandfolder is with their clients individual needs. It was initially great for a public repository to share with Press contacts but over time we've taken to managing the "source of truth" for assets between marketing, product and BD teams. How my company uses Brandfolder to provide our field employees the resources to create smart and engaging marketing with a common theme. We have access to many stock photos, fonts, and clip art with company logos to use. Having it categorized in a meaningful way really helps as well. This maybe an implementation issue and not a Brandfolder issue, but I would like to have a better search function. The ability to enter a few key words and get a list of relevant resources would be great. When implementing Brandfolder, be sure to have as many resources as possible to get the full benefit for your team. The ability to create marketing material in the field that is specific to my location has helped get the word out in our community about what services our company provides. "Easy to use, great metrics"
I like the way Brandfolder lets the admins control who sees and is allowed to do what and how visual the overview of assets is. The fact that people can turn files that usually can only be used by designers into PNGs and JPGs in the needed dimensions saves us a lot of time. We always receive prompt and friendly support when needed. I'm having a bit of a hard time getting our audience to understand how to navigate between collections and brandfolders.That aside, the previews load quite slowly from time to time. The admin interface for user administration could use a little more love but I'm told that's being worked on. Think about your setup in advance - adding Brandfolders, later on, can get a bit confusing for users. We share our creative work to avoid that similar projects get kicked off, duplicating efforts. We also use it to supply our employees with brand resources. As always, if you ever have any questions please do not hesitate to reach out to the Brandfolder Customer Experience Team at support@brandfolder.com! Along with a clean UX, the organizational features not only provide ease of use but is also user-intuitive. I haven't had any major issues using Brandfolder but I also like the ability to communicate my questions or concerns using the live chat feature. As of this writing, I don't have any qualms or trepidation about any Brandfolder features. The fact that they update every so often with new features is actually a plus. Give it a try! This service is especially great if you're managing multiple brands or domains. Our business is currently using it for asset management in a few different channels. A definite benefit is the sense of cohesion that is created as the same assets are being utilized in many areas. Great CDN... delivers sizable content very quickly. Easy to use... I pretty much learned the essentials within hour one and was using it efficiently. Searching for images can be cumbersome. Even with great naming and tagging processes, I find it hard to find assets that have been previously created. None that I can think of. It's so easy to use, but the system was already in place when I started working here. I received a quick training and I was good to go. We use it for all of our email marketing images and host our marketing brand images. It provides a centralized location for all of our asset management and delivers fast image loading in emails and some of our landing pages. "Helpful for Creatives looking for assets!!" As a creative I like that if I don't have the resources to take my own photographs I can look to Brandfolder for assets. Many of the photos were in general categories. I had to really dig to find the right image I was looking for. This may be because users are not being more specific when tagging images. Brandfolder is great for presentations or projects that require visuals such as power points. It was essential in putting together a fully realized project. It not only saves time but money as well. When you don't have the resources to create your own assets this is a life saver. Brandfolder has helped me when putting together projects at work that required visuals. Brandfolder is the perfect platform for our organization to collaborate, share our marketing collateral to ensure we always have consisted branding and marketing throughout. Not really something I don't like but it is one more program I need to use and remember login details for. I don't recall ever having an actual issue with the platform as such. Start using it within a small department or group before making the decision to role out to a full organization. Consistency was our biggest problem. People would use old versions of logos and marketing pieces they'd had saved to their desktop for years. With brandfolder, everyone has instant access to the most up-to-date information, all the time. Brandfolder easily organizer your assets, as well as raw files you need to edit, you can easily share the link to your co employees and they can easily download the files they need. Brandfolder is very user friendly. Adding users comes with ease. We have been using Brandfolder for a bit now at Berry, and colleagues we send links to tell us it's very handy. Key word searching is a pain. That's the biggest issue in my opinion. If searching for certain terms was easier, we would benefit from it. Search needs to be improved but overall a good product which we have enjoyed using at our college and would recommend for others who are considering using Brandfolder in the future. We hope this can be improved because we have totally enjoyed using this over the server we used to use in the past. We still use the server for backup and for more images, but this is a great primary tool. We are using it mostly to send out pictures and share images for social media and marketing. It's very easy to send a link and download the pictures you want in high quality. Brandfolder is my one stop shop for the best brands in home automation. The images on our website give potential clients a great visual of the brands we use and install every day. When we first started our web design, we only had low resolution images filling our pages. Brandfolder organizes high resolution images from top companies to make my job easier. The only negative I have is download speeds and image sizes taking up lots of memory, but in retrospect is nothing to what you can get out of it. Our biggest problem was being able to show our potential clients great images, without being able to pull the images from the internet. When consulting clients on which products to use, we want to give them more lifestyle photos from top brand companies. Brandfolder provides a solution of access to photos you prefer, without having to download all of the images to a hard drive. We use the service to give our clients a visual of what their smart home can look like, creating excitement for the client. I love how easy it is to navigate and they have the bubbles to click on for quick navigation. I like as you scroll through the website the titles of the area you are looking at comes through up top. I appreciate the quick view feature when clicking on a picture. Giving me each format it is in to pick from. The share feature is nice for people wanting to quickly send a link. Downloading is easy too with the option to download to any file folder on your computer. Sometimes the information isn't high level enough after doing a search. When I search Kona a bunch of pictures pop up. You would think the logos would be first, then marketing, then random pics. Instead it is a bunch of random pictures. Not sure if there is a way to have the search come back with most used picture first or when somebody uploads a picture there is the option to have it come to the top of the search engine. Brandfolder allows you to pin areas that are frequently used. Sections are great for dividing up brands and. The search engine works well. I like the fact I can open up an image and then there are multiple formats to choose from and download. Consolidating all of our logos and marketing in one area has made it easy for people to grab and go. Good UX – easy to find what you're looking for. This system that counts words in order to justify $25 for my feedback totally defeats the purpose of what you're trying to achieve with user feedback. Why do I need to fulfill a words requirement in order to be rewarded for my feedback? This will just cause people to input random information into your fields that will clutter your dataset and prevent you from uncovering any actionable insights that may have been discovered otherwise. Nothing – y'all have an awesome product that fits a need in the market! Why do I need to fulfill a words requirement in order to be rewarded for my feedback? This will just cause people to input random information into your fields that will clutter your dataset and prevent you from uncovering any actionable insights that may have been discovered otherwise. Align on brand identity and use high quality logos to achieve a better overall brand feel. Why do I need to fulfill a words requirement in order to be rewarded for my feedback? This will just cause people to input random information into your fields that will clutter your dataset and prevent you from uncovering any actionable insights that may have been discovered otherwise. Why do I need to fulfill a words requirement in order to be rewarded for my feedback? This will just cause people to input random information into your fields that will clutter your dataset and prevent you from uncovering any actionable insights that may have been discovered otherwise. What I like best is that I can log on and be able to get to any marketing materials I need to get the word out! I love using Brandfolder because it allows me to, not only spread the word out about my company, but allows me to be very thorough with my referrals. It gives me the evidence needed that I am working for a company that is credible and reliable. No gimmicks here! I do not dislike anything about it. I am very pleased. Brand folder allows me the autonomy needed to market my company to others around me. I do not have any recommendations. The benefits that I realized is that since I have been using the flyers and marketing materials via Brandfolder, I have received two successful referrals via VIPKID. It just make everything easier. I am more credible and reliable as well as the company I work for. Also, the products are just professional, colorful, informative, and just plain good! "Great platform for managing assets and keeping things sortable"
Search functionality and the ability to resize items on the fly is great. I like that we can also expire assets. The platform can very quickly become a mess when you don't strategically think about how you want to organize your collections and tags. It's not out-of-the-box intuitive in that sense. You really need to be trained on how to adjust your thinking away from a traditional Dropbox-like folder system into a Brandfolder mentality. But once you wrap your head around it, it's a great tool. Get good training and get someone that really understands Brandfolder to sit down with you and sort through how to manage and categorize your assets. Right now I think we still have too many tags, and there's still room for improvement there but it's better than having sales people in the field wandering through random dropbox folders hoping to stumble on the right one. The Art department was the only ones that knew where all our assets were which meant that sometimes there would be a delay when we needed an asset and meant that sometimes someone would just create a brand new non-compliant asset. Now that its' searchable and controlled our Sales team has what they need instantly. "Easy Way to Share! " It is super easy to navigate and share with others. Easy to sign up and get started right away. This is super convenient! I plan to use this for other areas of work as well. I am excited to dive into more in the future. There are many easy ways to sort and filter when searching. I was able to import y images into multiple resources that I use. They easily transferred from Brand folder to my different devices. This then takes up less space from not having to save them on my individual devices. I honestly have not found anything thus far that I dislike. Maybe as I continue, but right now nothing! Thank you for a great product! I have not read other reviews so I am wondering what others may consider improving. It will be nice to see any additional improvements made in the futures to the Brand folder. Very easy to use! I would reccommend this to anyone looking! The first time I tried it I was impressed. This eliminates placing different files in multiple places. Place them here and everyone can share! It was right where I needed it when I need to use image for an event. The images were shared with others to use as well and they were pleased with the immediate access they received. I am interested in checking out the video and audio features too! I am on the receiving end of Brandfolder. I work for a company that has shared branded materials with me using Brandfolder, and I am astounded at how easy it is to view the materials, download them, and use them as I see fit. I love that my company partners with Brandfolder, because it serves as an easy way to promote a cohesive-looking brand and keep everyone on the same page. I honestly haven't come across any features or aspects to Brandfolder that I dislike. Brandfolder creates a seamless way to share digital branded materials with people on your team. I love that you can categories your materials for easy access across the platform. My company is able to share branded materials in an easy way that allows users to download only what they personally need. It conveys a cohesive brand, and it makes it easy for users to communicate to others about the business. "Leading the pack in file distribution." While using many different file sharing site over the years, this is by far one of the best. Being someone that needs graphics from many different brands and having only two of them run it through Brandfolder is makes me what to promote and tell everyone about this site. It is much easier and cleaner then going through endless dropbox's, google drives, or anything else. Sometime the search doesn't find exactly what I need, however most of the time that is left to the naming conventions of the company using it. They are not using it to the full potential. I think the biggest thing I think it has solved on my end is it doesn't take space on the user's end, with dropbox and google you have to follow a shared folder, and then it eats up your space, for something you might only need once forcing myself to do file management for one project. "Brandfolder has helped so much!" Our company has been able to unify our branding across the nation in a way that we've never truly realized before now. Brandfolder has allowed us to coordinate and update items within hours where it might have taken days or worse in the past. Thank you Brandfolder! It may be on our end of the design, I'm not sure, but crop marks are not an option to print out with final images. This would make cutting smaller images and placard displays much easier than tracing against other objects after printing. So much better than printing and distributing materials nation-wide. No shipping or damaged product in-transit. Data is available real-time and can be updated in a moment's notice. Can even be modified to suit special circumstances on-site. National unity when it comes to branding. Organizing ideas and sharing the best ones across the company in a quick and orderly fashion. Discovering this new way of modifying specific items within given parameters has revolutionized our method of distributing and updating our retail information. The company I work for was using Frontify and it was horrid. Brandfolder is not only easy to access, and use, but it's more professional and clean looking, the user interface is great, and we have gained more clients, wanting to signup with Brandfolder. It is improving the company business, and it was easy to learn and use on our own. I would recommend brandfolder to any clients, whether when I do freelance work, or even if i go to another company. It is so easy to use, i wish i knew about this a long time ago. Honestly, so far I have not had any type of negative experience when using brandfolder. I also haven't heard of any of my co-workers or managers have trouble with brandfolder as well. As i stated before i would recommend brandfolder to my own personal clients when freelancing, future jobs, and i had stayed in contact with my previous employers would tell them as well. one thing i am doing is telling my graphic design friends about brandfolder, the ones who freelance. it makes it easier to put clients brand assets all in one place and not have to constantly look for things, and ask for things. As i stated before by using brandfolder, we have been able to sign up other main clients, using brandfolder, once we introduced how clean it will look, how easy it is to access, and how it can really organize their brand. "I love using Brandfolder! I only wish all of our manufacturers would use it." I love that you can log in to Brandfolder and access all of your different brands from the same dashboard. This makes it so easy to use. I love being able to see all of the different categories of images so if I'm looking for print or web, I can easily scan through and find what I need. We currently only have two brands that utilize Brandfolder, which is a darn shame if you ask me. It's such a great tool. Literally the only thing I don't like has nothing to do with Brandfolder. It's simply that only a few of our manufacturers use it. Everybody should be using it! I would also like more information on how to integrate Brandfolder into software I already use. Absolutely a great way to keep all of your assets in one place! It saves time for sure. I really like being able to access images without having to go to a bunch of different sites. "Great asset management for your collatoral"
Brandfolder has a great user interface that allows content providers to quickly and easily post assets and materials into a repository for customers to consume. It's also great to be able to limit specific content to a certain audience (internal vs External) so that you can serve multiple groups from one location. I also like that we can post videos hosted on other platforms directly into brandfolder so all of the content is centralized in one location. Not a big fan of the tagging system. When you are looking for all the information on a specific product the tag system is the only way to get that info. There is no home page for customers to land on and get all of the information in one place. So items tagged in support of that product will show up on the search. Be sure to plan your implementation and the way you want to display your materials. Groupings like, brochures, white pages, etc will be key to making sure that your stakeholders can get to the content quickly and easily. For us it was critical to get a single source of truth defined for our sales team. Brandfolder helped us to achieve that goal by providing a friendly user interface for posting and accessing assets and materials. With the ability to restrict content to either internal or external, we are able to provide assets to our internal sales team that also serves our customers. "Best software to help unite employees across the country"
Since I work for a nonprofit, we don't always have the resources that we need for our brand. Luckily, we have Brandfolder. Brandfolder allows different agencies around the country to unite by create collateral items using editable templates located in Brandfolder. I like that the national agency can upload brand standards and examples of quality collateral items and photos. We can then easily download them and use in our own marketing! Brandfolder is a great resource for small companies and large companies alike. There are times when I try to download an item in a specific form, and it gives me a different form. For example, I wanted an eps, and it gives me a PS file, which is unusable. If you want to allign your organization's branding, you need Branfolder. Consistency is everything is branding, and Brandfolder allows you to upload editable templates so anyone across the country or world can create their own pieces that match the look and feel of your brand. Collaboration with agencies across the country allows our Big Brothers Big Sisters brand to align and stay consistent. "Pretty neat! I've never heard of this site before." It's so easy to find exactly what I need: logos, graphics, letterheads -- anything! I use filters for pretty much anything these days -- searching for a file, shopping, browsing, so Brandfolder helps me search for exactly what I need. I can't really think of anything on Brandfolder's part. The only thing I would probably think of is how people use it. We used to use our own website, and that would involve using CTRL+F a LOT. With Brandfolder, while it is easier to search for graphics and anything useful, if something is not moved into Brandfolder during the transition, the user (such as myself) is left out without knowing what's going on. Maybe include a feature with direct communication to the initiator of the folder as to what is missing, or maybe suggestions about what could be added. Please be sure to utilize this well. Sometimes, in transition, files can be left out. Be sure to reach out to your users, and let them know that you need to ask them what can be added to their folders. I find it so much easier to find stuff. It's great to not have to scroll through a webpage. I love the filters! These aren't compltetely "problems" in the traditional sense, but it does give a wonderful, centralized location for me to find logos and letterhead, as I tend to use them a lot in my profession. "Connecting and collaborating across our global group"
Our group has multiple locations across the globe, and being able to use brandfolder to share resources ensures that we are consistently using the same marketing materials and have access to a wealth of collateral to leverage for sales, marketing, etc. Brandfolder enables easier and quicker collaboration so we can use the time we saved to focus on more pressing tasks. I don't particularly agree with the way the content is organized, sometimes I'll need to scroll down quite far or click "next" a few times to get to the resource I need. it would be great to have some machine learning/other functionality applied here that will allow me to search for the file, format or image I'm looking for easily simply by searching the right keywords. Being able to filter all the images to include only the ones with business execs, or only the images with cell towers, for example, would be a huge help. I'd recommend brandfolder for anyone looking for a central repository for sharing the most up to date resources and materials for marketers, particularly for a global group like ours. Consistency with our branded materials has been a big challenge for the group, as we are evolving our materials to suit best practices constantly. The benefits we've realized is being able to share our individual resources with one another and be consistent in doing so. We are able to work collaboratively with significantly more ease than before. "Great way to organize resources"
There's finally a solution for the problem of "How do you share digital resources with internal and external people?". We ran into this problem all the time at my old company and it was always solved by emailing digital resources to people outside our organization, and it was a headache to repeat this process with every one of our thousands of partners. I like how Brandfolder makes this problem disappear. I think that the downloading process could be streamlined, where it would be cool to just select a download button once, and then choose all the things I want to download. Additionally, browsing images has the potential to be a fun experience, but the way you explore images within Brandfolder is clunky. We no longer waste time attaching large digital assets into emails (or zipping them) to send to each individual external party. Additionally, we don't have to individually dig for digital resources internally either! "A useful platform for branding materials"
The website is snappy, and in general it is convenient to have everything in one place. I like the concept of the tagging system. I think there is potential for the tagging system to be more useful - the ability to use multiple tags for items could make sorting much quicker. We have some groups that have over 100 items, while that is better than a thousand it still takes a while to scroll through. For our purpose the product meets if not exceeds all requirements. Greater dissemination of marketing and branding materials throughout the organization. I personally have to bother marketing far less for materials that I can now pull myself. "A great and easy software to use for anyone"
I love that this program is easy to use and this makes me happy that I can complete my goal quickly with the help of this application when I need to market my assets or manage my work quickly with ease. What I like the best is that it is not a complicated application even beginners can use the tools in this program which is the best part. The downside is that the application allows anyone to view my data. So, when I need to use this application, I have installed on my computer to use because it is much easier to use. Everyone uses this software so anyone can see your data digital assets. I love the tools which is why I like to use it often but I dislike that this takes up a lot of time when using to be careful from other company stealing your data or something. Use this application because it will be worth it. The tools are easy to use and anyone can understand the process of the application. I needed a program to help me install and manage my assets so I can use the tools for my business goal. I used this for my business because I need a good software developer that will help me create assets from this application. I realized the benefit is that I can easily use the tools on the program to create and develop something which is great and why I like it. I like that I can tag photos and videos directly on Brand Folder which make it super easy for other teams to search for what they are looking for! I lead the video team and we get a lot of request for raw assets and this has been a huge help in organizing these assets. We are solving asset management problems we had and we are solving brand guideline sharing with external vendors we work with. The file organization style is great. It's visual, it's easy to use on the back and the front end. I've seen different companies organize their Brandfolders differently, and I think that's awesome that companies can organize things in the best way for them. I would love if I could reorganize the order of my files within an asset category! Currently, new uploads go to the end but in most cases I'd like if they were shown at the beginning. Maybe this is already possible and I'm just missing it?! Brandfolder is a great way to easily share assets. 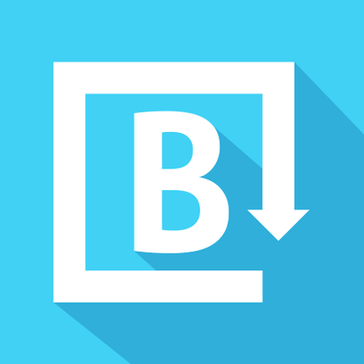 I love Dropbox but Brandfolder is better for FTP/sharing-type usage. The way it's laid out visually makes it easier to find what you're looking for. We are making it easier (so easy!) for our sales team, accounts, and distributors to access the correct images/logos/etc for our brand. "The Ultimate Brand Tools Database"
It's quick and easy to use. I love the search function. As long as info is tagged correctly, it's a breeze to find exactly what you're after. The invite process is a little troublesome. Most of the accounts I invite dislike the fact that they are required to create a username and password. The homepage does not always seem to work. I have my brandfolder bookmarked but the page I'm directed to is not always the homepage so it can be a pain to navigate. I love the ability to share videos and catalogs and have everything available in one area. It's streamlining my process of sharing this information. "I have had a great experience using brandfolder so far. It has made my life at work much easier!" It is a great platform to share work and resources. We have teams across the world and we are all able to share assets and leverage each other's work very easily! Haven't found anything yet that I dislike. I have found Brandfolder to be very user friendly. One thing that could help keep us organized is a better folder system to allow for easy filtering. Brandfolder is a great system to help organize brand assets. I love that you are able to edit and tweak the assets and resave them on Brandfolder. Allows for very easy customization and efficient use of time. We have teams across the world that all request slight variations on design assets. With brandfolder we are able to collaborate, share resources and let our remote teams edit and tweak their own assets, saving our design team tons of time. "Helps keep our digital assets organized and easily accessable! " Being able to interface with multiple teams from different departments and being able to easily share selective assets with internal and external customers alike. Sometimes the platform loads a bit slower than I'd like, but I'm not sure the reasons behind this or if there are things we could do to help mitigate this issue. If you need to share digital assets with a multitide of customers, both internal and external, Brandfolder is a great solution. It allows easy and quick shareability of assets and control over your brand by being able to lock down certain aspects and allow others to be edited. Working across multi-departmental teams to achieve milestones and bring our product to market. Making editable assets available for our customers while still controlling our overall brand look and feel. Sharing assets with internal and external customers. I love having all of our digital assets in one, organized, easily searchable and convenient location that I can send all of our valuable customers to. We keep our images, videos, logos, fonts and more available at a moments notice to whoever may benefit from them. Brandfolder is such an improvement over our last DAM system that it feels like a stretch to try come up with one specific issue. Having our digital assets so readily available has made getting the key messages we want to express to our customers so much more streamlined. Brandfolder has made season and product launches more successful. "A great way to stay organized"
It is very easy to update files (our prices fluctuate a lot on our Sales sheet, so it's a nice feature for us). I also like how materials can be separated into their own sections, making it simple to navigate. We were using the Google Drive before for everything, and it's a huge difference to have everything all in one place. I also really like the tags feature. I use them a lot. The thumbnail feature could probably be improved, particularly for decks or slideshows. There is no option to add a thumbnail for those. Use thumbnails and tags! They help find materials faster. We are solving organizational business problems with Brandfolder. Now, each department can all come to one place to find a variety of materials, and it's as easy as sharing a link with them. "Brandfolder has been an invaluable tool for sharing our creative assets!" It is extremely easy to find, share or download assets. It is also very flexible with managing, uploading and tagging assets. The Insights tool has not worked as I hoped it would. I have been relying on Brandfolder's customer service to pull accurate data. Chelsea has been very responsive with this task, but I am not sure I am receiving the value that I am paying for the Insights add on, since I am unable to pull accurate reports by myself. The ability to quickly and easily share creative assets to our 100+ national sales team and 500+ national and international wholesalers! "Brand Folder is key to any advertising department ! " What I love best about Brand Folder is the user friendly interface, the file compression, the easy upload speed. Not being able to send out notification blast to all of my brand folder users. For example " See what is new on Rosati's Brand Folder "
This is the product, dropbox and google drive are out of the question. After using Brand Folder I will not go back to others. Some business problems I am solving with Brand Folder is using my time more wisely. Not as much back and forth with sending design proofs back and forth via email. Not spending the extra time finding stock templates I have for use. Now I just click share via brand folder. Cuts that email communication time in half and leaves me more time for main creative assets. "So easy to use, implemented across our enterprise"
I've never had to 'train' someone how to use this tool - it's layout and design make for a very simple user experience. It also consolidates the same creative really easily (for example, 1 of our campaigns can have over 70 pieces of creative) and then it picks up on the metadata in stock images and tags them with those keywords when you store them in Brandfolder. Sometimes they try to launch various new features that seem a little hasty. I got an email the other day asking me to create a Brandfolder community - which isn't something my organization has a need for and the concept didn't make a ton of sense to me. We have too many freelancers and external agencies that work with us to rely on internal servers. This allows for easy access across all of our users and partners. The select and share feature makes it easy to avoid sending large files via email. "All Brand Assets in One Place"
I like all the time I get back by not having to control assets.myself. anyone who needs them can find themselves and it is easy to see everything other teams are.working on that is Brand related. Sharing with outside partners is not always that easy. I'm not always confident the link will work and I end up downloading and sharing myself. I also do this because I'm do not want to risk sharing assets I am not suppose to. Keeping the brand narrative consitent by centralizing assets and creating a forum for all Brand stakeholders within the company. "Great experience with BrandFolder so far!" BrandFolder is used for work in order to have a wide range of documents available in one place. I cannot always easily see in which folder I am - could be useful to keep an Option on the top menu line for this. Could be more user-friendly / interactive for scrolling - such as a permanent small menu icons on the right side that would move along as we scroll down or up - that way, we can click on the section we want to see much easier! Sometimes there is a noticeable slow speed due to too many subcategories. Also when sending out user requests, some users have not received their request and have to send out multiple times to receive. Speed up website speed when having multiple subcategories. Notice is in everything from searching to adding users. We had very slow and sloppy asset location and storage. With this, we could never locate assets by names or item numbers and had to use specialized codes that were registered when first put into a different DAM. Brandfolder has gotten rid of that struggle and has made us realize the easiness of using a simple tag or correct naming convention to see quick asset location. We have come to realized how useful a search bar is to keep our whole team functioning smoothly and getting the appropriate images where they need to be as quickly as possible. "Where's the logo? No, white! No, transparent background!" Easy to find colors in different formats, images are easy to organize. Maybe this isn't a big deal, but it's nice that Brandfolder admins have added in things like photos of the C-Suite for sales pitch elements. Not a whole lot. It does what it needs to do. Think about all of the assets your employees use! Which ones need to be standardized?? Tons of people need to rep the company in slides, handouts etc. and now everyone is using the same artifacts instead of warped versions they've saved off the web and edited how they please. "Great Service for my Company!" I love the ease of access to all the different brand colors I need at work. I deliver reporting to a large retail audience, so keeping my colors aligned is key. Honestly, I don't have any negative comments to say about how I've used Brandfolder. It accomplishes the task and it does it easily and simply without anything to worry about. I'm able to align all of my team's sales reports properly so that we can service all 5000+ of our customers properly and be the face of the company to the employees of the company. "Great platform for organizing, sharing and storing assets! " Our company has two brands. This is a great platform to store assets for both (keeping them in one place) while having the ability to share individual brand assets through either brand. Also, it has the ability to embargo, send assets privately, etc. Basically, there's a lot you can do with Brandfolder. Perfect for large and small businesses alike. There isn't too much I would complain about. It would be great to have a social component in the future though... the ability to connect with team members within the platform. Get it! It's easy to use and a great way to keep your business organized! We are able to stay organized across two different brands. Also, it helps with asset embargos and giving our PR team the first look all within one platform. "Brandfolder Provides a Refined Solution for Digital Asset Management"
We love the visual layout with the robust search feature. The ease of use is second to none and it presents our assets to our customers and media partners in a way that is consistent with our own reputation. Honestly, there isn't anything that I dislike. They have given us more than I could have asked for. Don't delay, just get it. You'll be thrilled! We are solving the issue of keeping our assets up to date easily by having just one place to maintain. We also have solved the issue of assets disappearing when users misunderstand complex directions about how to download our assets. The Brandfolder interface is so simple to use and it prevents accidental deletion of our assets. Brandfolder has provided us with total control of our assets while making it exceptionally easy to share them. "Easiest tool to use- even for our less techy team members! " The ability to easily choose formats and to share items in our folders with people who are not on our team. There has not been anything yet we have not liked. I would highly recommend Brandfolder to anyone considering a management tool. It exceeds our expectations. We are able to use Brandfolder for our marketing and branding materials. The shared files make it easy to grab items we need, develop materials and download easily. Our new marketing and branding is pivotal in our ability to meet our mission goals and Brandfolder makes it happen. "Organization Has Never Looked This Good"
I love the interface. It's clean, easy to use, and easily accessible. I love that I can get everything I need to create documents for my work (agendas, meetings, instructions), and do it all in style. I don't really see anything that I actually dislike. I haven't encountered an issue yet. Definitely have you company set this up with all of the things it uses in its communications. It's amazing I can piece together an amazing document that looks like the communications team drafted it right from my desk! It's super important that I keep communicate effectively, which means ensuring that the information I disseminate in clearly organized and easy to read. However, branding is important, and I want to deliver documents that promote our professionalism while keeping a stylish aesthetic. * We monitor all Brandfolder reviews to prevent fraudulent reviews and keep review quality high. We do not post reviews by company employees or direct competitors. Validated reviews require the user to submit a screenshot of the product containing their user ID, in order to verify a user is an actual user of the product. Hi there! Are you looking to implement a solution like Brandfolder?